ALBANY – In his quest to convince voters that their property taxes are so high because New York has too many local governments, Gov. Andrew M. Cuomo has made personal appearances across the state in the last couple of weeks, used computers to select residents to call to make his pitch via “town hall” sessions and taken to the airwaves with TV ads. But while railing against localities that he says have created thousands of government layers that have taxed some New Yorkers right out of this state, the governor since taking office has had the opportunity to stop localities from creating new authorities, special districts and other entities. Yet his record is mixed, according to a review of three years of bills that have hit his desk from the Senate and the Assembly. He has rarely employed his chief weapon – the veto pen – when bills to increase local governments have come his way. In 2011, he did veto a measure to create a new library district in a Rockland County town. His reasoning, in part, was that local taxpayers would be hurt by the creation of different tax rates within the town. On the flip side, Cuomo just six months ago vetoed a bill to dissolve a “special act” school district in a town in Westchester County – a measure that seemingly fit right in with his campaign against bloated local governments. Yet in this case, he said the measure would have imposed the district’s retiree health benefit obligations on the state, so he vetoed the dissolution. “While I sympathize with the plight of these retirees, I cannot approve this bill,” Cuomo wrote. The governor has not been given many opportunities in three years by lawmakers to significantly halt the growth of local public entities, such as lighting districts, sewer districts and other creations of cities, towns and counties. But on eight occasions, he has signed bills that have actually added to the number of local government entities, decisions that appear counter to his continuing public appeal to voters to reduce local governments. He has also signed seven bills sent to him by lawmakers to dissolve local government creations, from community development agencies to a city library. But in most of those cases, the bills seem to have been the ideas of the local governments themselves, not the governor. Some of those measures also have asterisks. For instance, he signed a bill in 2011 dissolving the Oswego City Library District, which was created in 1854. What practical effect the dissolution had is uncertain, since that entity’s legal obligations had already been taken over in 1980 by another separately named special library district. In another case, a fire district in Broome County was dissolved. But the district, in the Town of Sanford, was then turned into a special fire-protection district, a move that meant local residents’ property tax bills still contained a line item – and a cost – for firefighting services. The question of how many local governments there are in New York has become a major issue in the state budget talks that – if there is to be an on-time fiscal plan by next Monday’s deadline – have to conclude this week. Cuomo has touted his plan to “freeze” property taxes that calls for, in its second year, giving modest rebate checks – paid for by state taxpayers – only to residents who live in localities that agree to cut spending by merging or sharing services with their nearby government neighbors. 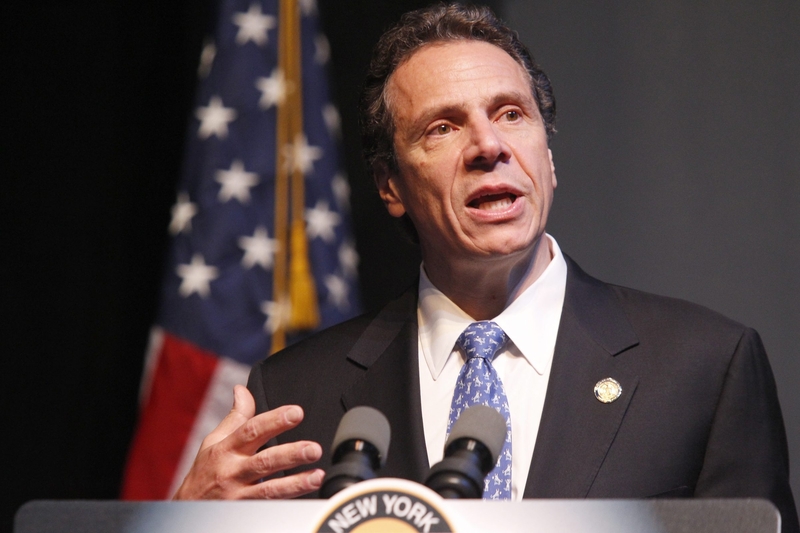 To make his point, Cuomo says there are 10,500 local government agencies in New York State. The U.S. Census Bureau puts the number at about one-third that level. Last week, The Buffalo News reported that Cuomo’s numbers are greatly affected by so-called special districts, such as lighting districts. Most of those don’t have any employees but are mere line items on a town’s budget to, for instance, pass along costs of providing streetlights in certain neighborhoods. While the governor has sought to push local government mergers, he has said he would also be comfortable if they just step up efforts to share services. The governor’s tax plan has met resistance in the State Legislature for varying reasons, and localities across the state also are putting pressure on lawmakers to not support the plan. They say the governor’s proposal would force them to live both within the state’s annual 2 percent property tax cap and his proposal to cut spending. Yet, they say, it comes at a time when their costs are rising because of state-imposed mandates ranging from the level of services they must provide to the amount of money they must contribute to employee pensions. They also point to rules that sharply drive up the costs of public construction projects by requiring certain labor-friendly edicts. Among the bills Cuomo has signed into law that actually add to the list of local government units he condemns as bloated was a measure creating the Syracuse Airport Authority. Another added a library district in St. Lawrence County. While suggesting that many local entities are wasteful, he has signed laws creating local authorities that lawmakers say are needed for the public. The situation illustrates that the reality of governing is sometimes difficult to align with rhetoric. The governor has also signed into law measures extending the life of a downstate community’s parking authority and community development agency, and creation of a library district in Putnam County. In potentially his most sweeping expansion of new local government special districts, Cuomo in 2012 signed legislation that “allows town boards of any town to establish or extend a watershed protection improvement district.” Such watershed districts were added to the list of special districts – including lighting, parking, sewer, sidewalk, garbage collection and ambulance – that the state lets towns create to provide specific services. Sponsors of the watershed bill said at the time that drinking-water resources in New York are always stressed by pollution sources and that such improvement districts could be used to protect those systems. “Towns and private homeowners do not have the funds, individually, to undertake these important measures. Watershed protection improvement districts will create a dedicated, sustainable local funding source, with equitable shared costs,” said the memo accompanying the legislation Cuomo signed into law that August. Activity to disband local agencies in Western New York, which Cuomo has held out as the poster child of bloated local government entities, has been largely lacking in the Legislature since Cuomo took office. One exception, in Orleans County, was a bill by Sen. George D. Maziarz, R-Newfane, to dissolve the Town of Medina’s housing authority and urban renewal agency, whose functions had become defunct. Cuomo signed that measure in 2011. Cuomo, while he was attorney general in 2009, successfully pushed into law a measure making it easier for residents in a town to have votes on consolidating or merging local governments. New York residents, over time, have often been reluctant to get rid of local entities, such as villages or fire districts that they consider “their own” and that make their community unique, and Cuomo himself recently said that there has been no rush by local residents to embrace local government mergers. In 2012, he signed legislation eliminating 28 local public authorities and 95 urban renewal agencies, such as the City of North Tonawanda Parking Authority and Chautauqua County Sports, Recreation and Cultural Authority. But the bill, according to a legislative memo in support of its passage, said the entities were either already defunct or were never established by local law and so had never even been activated.